Certainly, he is. I guess it should not be easy to be Mr Rankin: a contemporary King Midas, that turns everything he touches into gold. His father wanted him to be an accountant but he soon realized that it wasn’t the path he would have followed. Ranking, born as John Ranking Waddell, wanted to be a photographer. In more than 20 years of career he has shot the Queen of England, Kate Moss, Miley Cyrus, Madonna, just to mention a few. 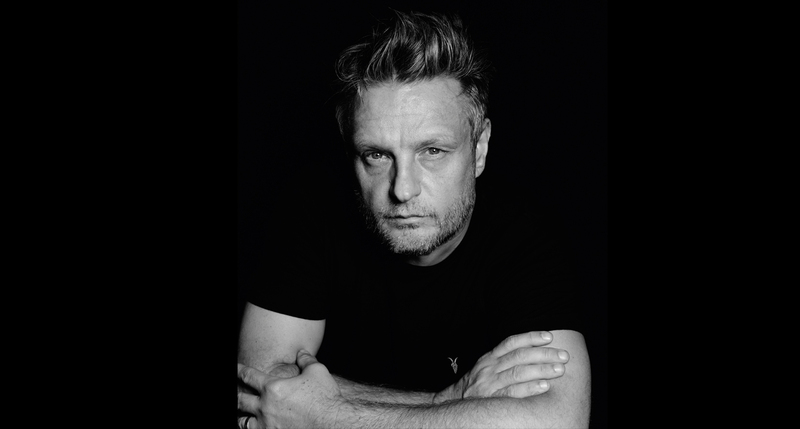 Questioning the conventional idea of beauty and often landing his art to charity projects, Rankin soon became one of the most influential, admired and well-known fashion photographer of our times (although he doesn’t like this definition). However, he became much more than just a photographer! One of his best qualities is the ability of being comfortable with several visual languages. Rankin, professionally born as a photographer became a publisher, a video director, a patron of independent movies and much more. 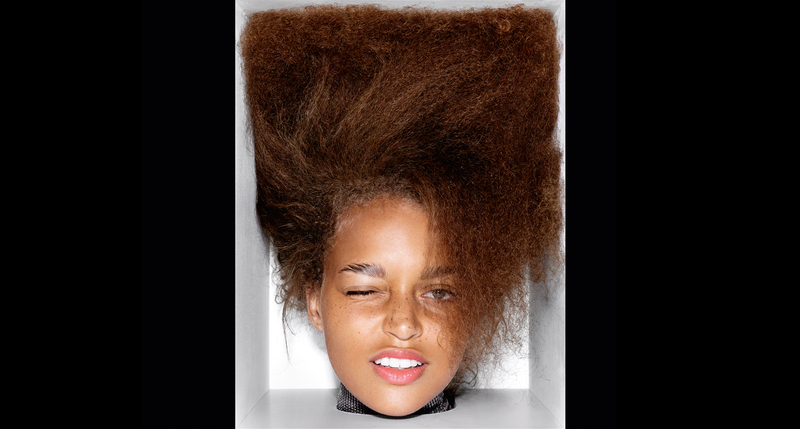 He founded successful magazines such as Dazed&Confused, AnOther Magazine, RANK, Another Man and more recently “HUNGER”, with accompanying website HUNGERTV.COM. Recently he created Collabor8te, a project that invites scriptwriters and directors to submit their ideas for narrative film, promising to turn a selection of these dreams into a reality, producing them, featuring them on Dazed TV, and running them on the international film festival circuit.in association with The Bureau and Dazed TV. Popdam Magazine met him in Milan, on the occasion of the exhibition OUTSIDE IN, organized by Associazione Montenapoleone and showed during the last Milan Fashion Week. – Your work is often questioning social norms and the idea of beauty. But what that means to you as photographer and as publisher? – In your shooting one can feel a deep understanding of the characters, a special sensitivity. People in your shoots seem so comfortable in their poses. How do you put them at ease? Do you engage a special technique? – Thank you, that’s a real compliment. My technique is to try to work with the subjects of my photographs. To get them involved in the process, so they feel included and to have a bit of fun with them. I sometimes act like a bit of an idiot to make people feel less like they’re under a microscope! – Once, you said (interviewed by Josh Sims from Billionaire) “Yes, I’m populist. And I’d rather 30,000 people came to see my show in Liverpool, as they did, than get a good review…” In which way the “contact” with such wide reality affects you? What audience gives you back in an artistic and personal perspective? Is there anything – in a professional perspective- you had to renounce to reach a larger audience? – The exhibition OUTISIDE IN is a travel in the spectrum of human emotions, which allows audience to go beyond the surface. Can you tell us more about it? – I loved the idea of doing an exhibition outdoors, for free. Where the pictures are for the sake of themselves and aren’t about selling anything more than an idea. That idea is based on a photo of a box almost looking like a real box and playing with that visual trick and scale to create a series of images that makes each thing or person equal within it. It’s a little like “collecting” the subjects in each box. Showing them to the world as collected. They are a world within a world. Which is really only as deep as the box you think you’re looking into. It’s fun! Almost like a game. – Are you thinking about a Ranking Anthology? What will that be about: photography/publishing? What it will contain…? No I’m afraid not. I’m not sure I’d have much to say and I’m kind of a little sick of the sound of my own voice at the moment. I’ll stick to taking photographs I think. © 2019 Popdam Magazine ..